In the 1920's, because of Prohibition, many breweries turned to either making soda pops or ice cream. One of the main breweries started churning out Green River! The lime based soda with a hint of lemon was packaged in old beer bottles and sold in the marketplace. With its vivid green color and zingy flavor it was a huge success! 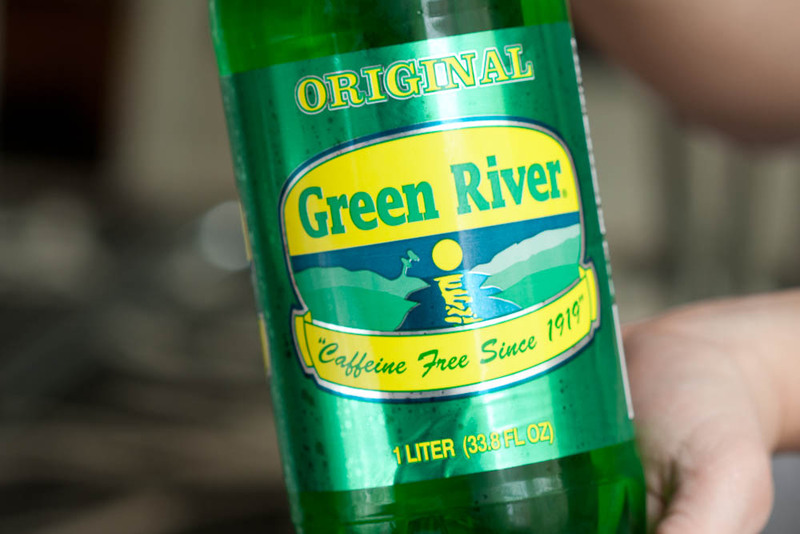 Besides Coca Cola, Green Rivers popularity was unrivaled across the midwest. When Prohibition ended in 1933, Green Rivers popularity faded as beer became its producers new priority, but Green River remained a popular choice of refreshment all the way through the 60's! The popular 60's rock band Creedence Clearwater Revival even came out with a song and album called "Green River" inspired by the drink! With its bright visual appeal and its zesty flavor, Green River takes people back to the good ol' days of corner soda fountains and drive-in movies. Come to Ida Red and get a taste of nostalgia in a bottle!